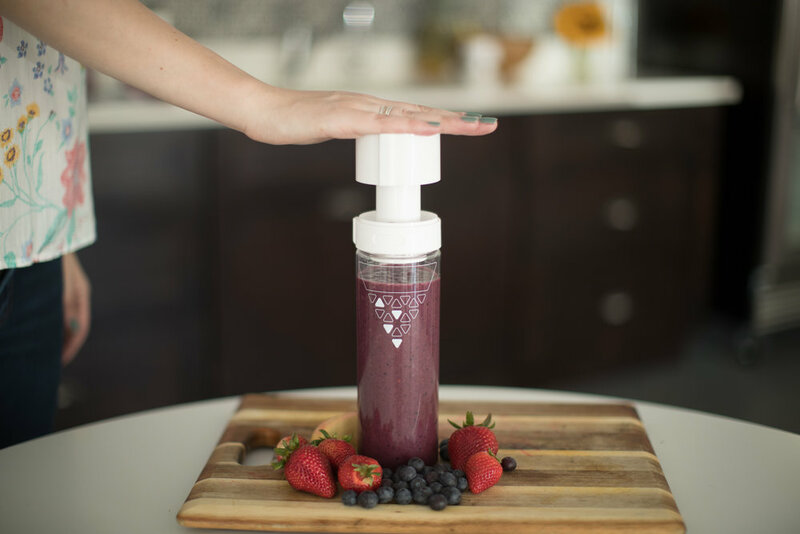 KEEPS YOUR SMOOTHIES AND SHAKES FRESHER, LONGER. Keep your food fresh, longer! Make your smoothies and juices the night before and still have that freshly made taste in the morning. Our line of SANS Glass Vacuum Bottles save time, money and help maintain the nutrients in your freshly made foods. 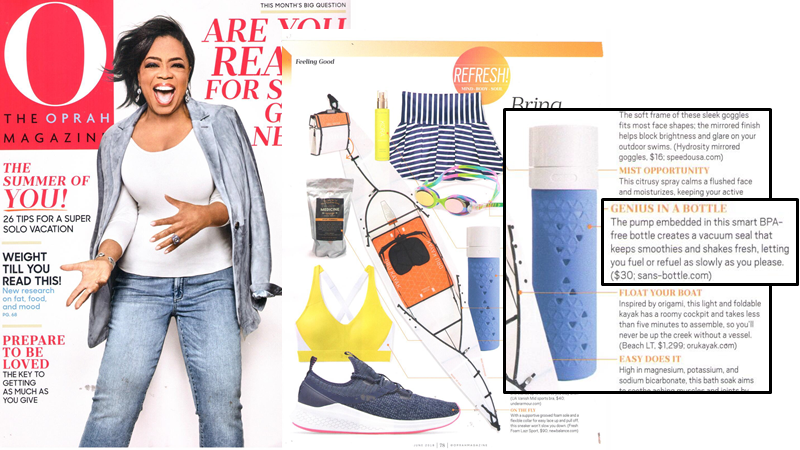 SANS is a solution to preserving smoothies, shakes, juices and more with a vacuum seal that keeps its contents fresh for a longer period of time. When fruits and vegetables are exposed to air, they start to oxidize, turning them brown and depleting their nutrients. SANS slows down the oxidation process by removing air from the bottle. 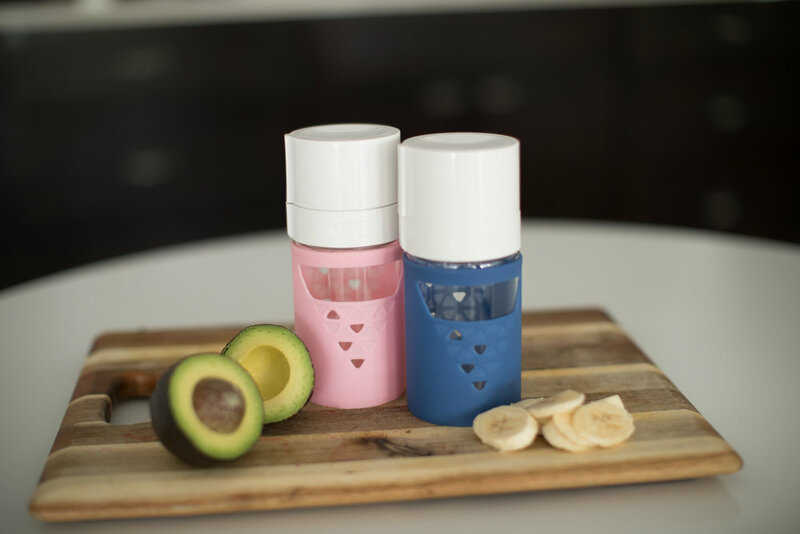 The lid of the bottle contains a unique vacuum pump mechanism designed to preserve the life of it’s contents. 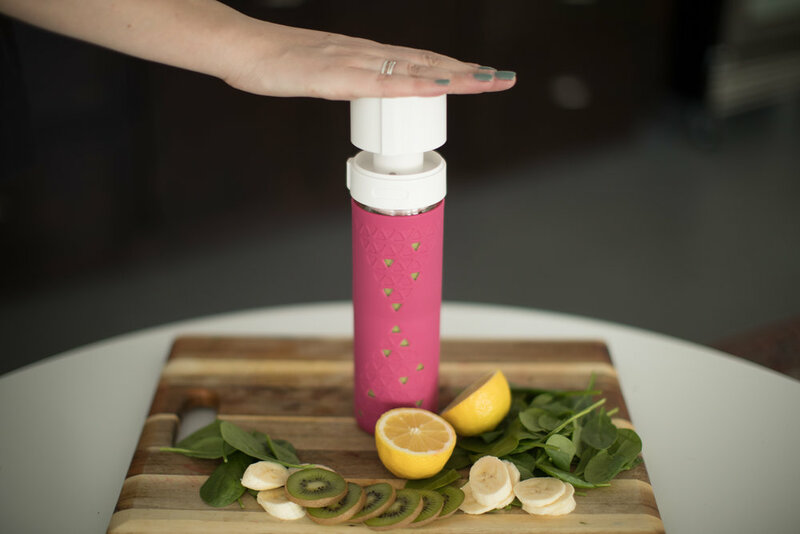 By simply pumping the lid, it acts as a preserver by removing the air from the bottle and maintaining a tight seal. SANS IS OPRAH APPROVED! GENIUS IN A BOTTLE! We put the SANS bottle to the ultimate 7 days challenge. One peeled and sliced apple open to the air and oxidation and one peeled and sliced apple safely stored in a SANS glass smoothie bottle. See the difference! MAKING A HEALTHY LIFESTYLE EASIER. WHETHER STORING A SMOOTHIE OVERNIGHT OR KEEPING A SERVING OF BERRIES FRESH FOR A SNACK, THE SANS ORIGINAL KEEPS YOUR FOOD FRESHER, LONGER! FAMILY SIZED OPTION AT 32OZ. 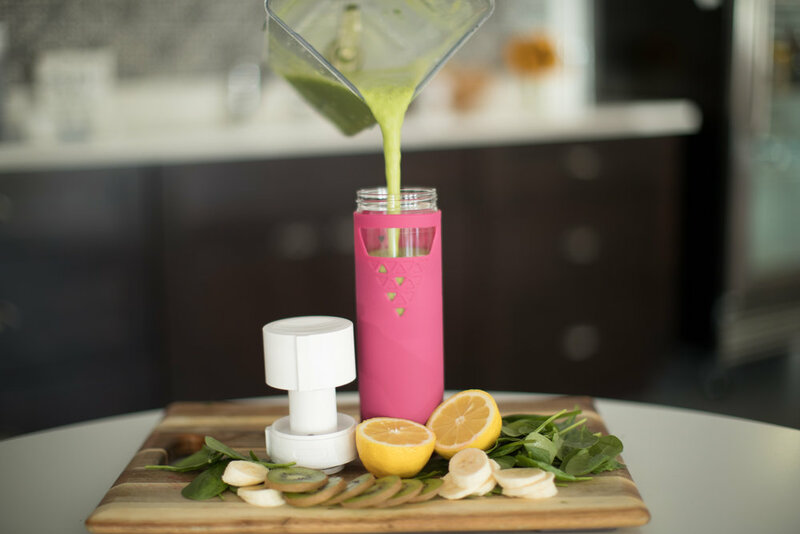 Perfect for making a large batch of your favorite smoothie OR SHAKE to share with others or to prep for the week ahead! LIGHTER, MORE PORTABLE, MORE AFFORDABLE. All the same features as the original SANS bottle at a more affordable price. DESIGNED WITH MOMS AND DADS IN MIND. 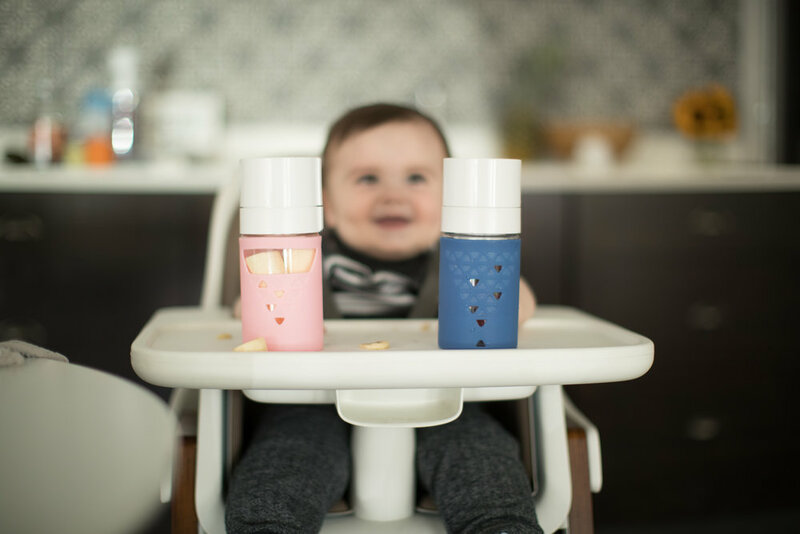 THE SANS PUMP PRESERVER LID KEEPS HOMEMADE BABY FOOD, SMOOTHIES, MILK AND SNACKS FRESHER, LONGER!